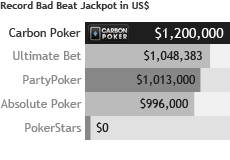 How big is Carbon Poker? Carbon Poker as part of the Merge Gaming Networks sees peak traffic of over 1000 players, including both Americans and RoW players. 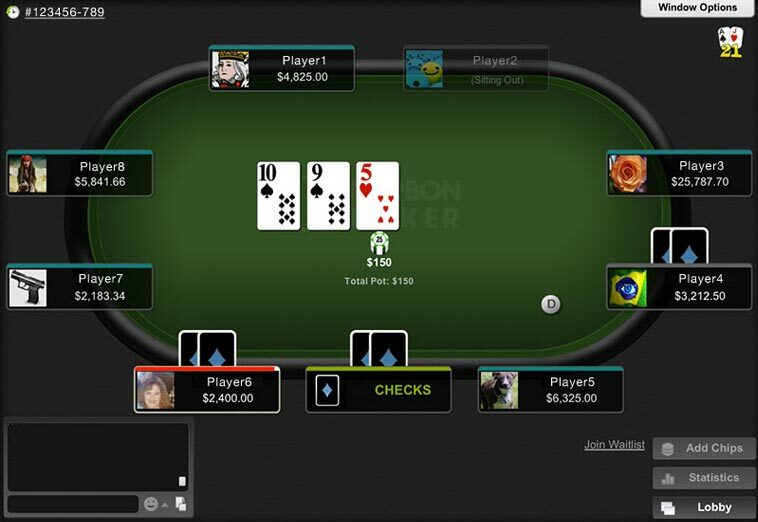 Carbon Poker no longer has VIP rakeback, although continues to accept US players and offer reasonable traffic, loose games and fast software.The $5,000 deposit bonus works out to 6.67% rakeback while active, although is difficult to clear in its entirety as the highest games stakes available are $3/$6. Update – Carbon no longer offers rakeback or a VIP program. For a rakeback-friendly poker room in the USA, we recommend Americas Cardroom or Grand Poker. CarbonPoker no longer offers rakeback. Players receive ‘Player Points‘ for their play which have no intrinsic value, but are used to track the clearing of their deposit bonus, any reload bonuses, and track participation in promotions. To be tagged for rakeback in the event it returns, and exclusive promotions such as our $1k tournament giveaways, clear cookies and access the Carbon Poker website using the links on this page. The ‘Rake per 100 Hands ($)’ and ‘Rake Paid per 100 Hands (BB)’ columns are based on 80.7 million hands of data-mining research conducted by the Rakeback.com research department. The rake structure shown below came into effect May 1, 2013. There are no 9-Max fixed limit game types on Carbon Poker. Carbon Poker Elite status has been discontinued. Previous reports said that Carbon doesn’t disclose the criteria for Elite selection at this time, other than continued play at Carbon Plus level. However, there is some speculation regarding how to get invited on the Carbon Elite forum reports page. Carbon Poker has decided to focus on other promotions, and extra reload bonus offers. 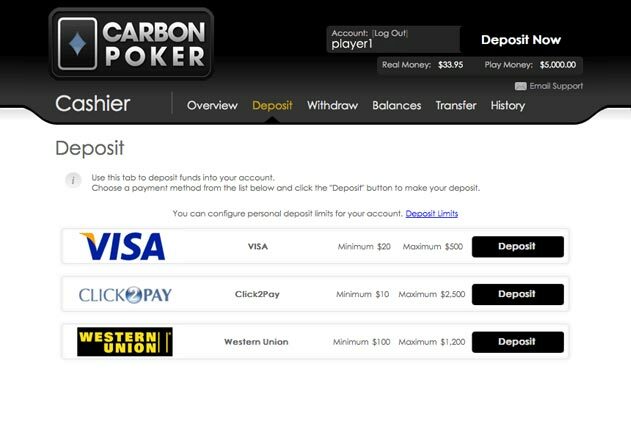 Carbon Poker offers a deposit bonus of 200% up to $5,000 for first-time depositors. Bonuses release $10 in cash to your account for every 1,500 VIP points you earn ($150 in rake paid). 10 Player Points are awarded for $1 in rake paid (cash games and tournaments). Your bonus is valid for 90 days after downloading the client and depositing. Given the current traffic and maximum stakes few players will be able to clear 100% of their deposit bonus, however while it lasts it equates to an extra 6.67% in rakeback. June 1, 2011 – Carbon switched from rakeback to a VIP system. Accounts created before June 1 were ‘grandfathered in’, keeping their flat monthly rakeback, those created after were not eligible for rakeback. June 1, 2012 – following the departure of Lock Poker from the Merge Network, 35% rakeback returned. 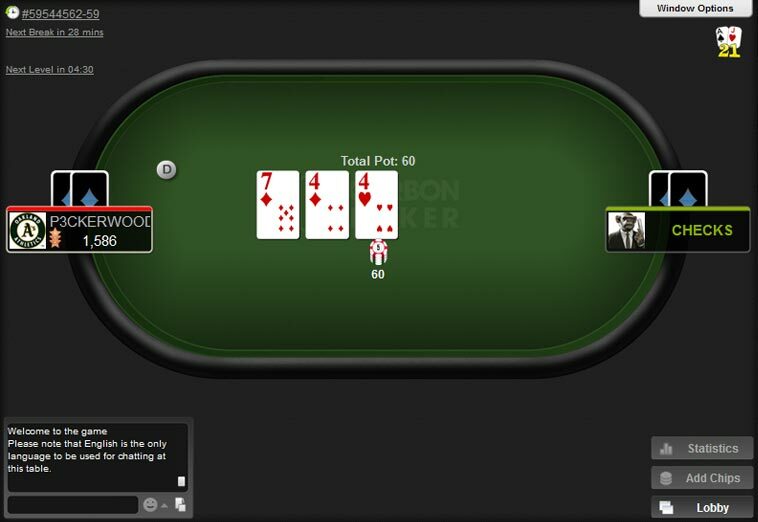 Players could switch to flat rakeback by contacting Carbon support, or choose to remain on the VIP system – a decision influenced by their play volume. Feb 1, 2013 – Carbon ended rakeback, switching all players to a VIP system, with no grandfathering in. Six VIP tiers – Earth, Wind, Fire, Water, Ether and Carbon – allowed for up to 35% equivalent rakeback at the highest level, via a VIP points to cash exchange. Points could be exchanged in set amounts by level, and a set number of times per month – $2,100 was the maximum ‘cashback’ achievable per month. Oct 1, 2013 – Carbon scaled back their VIP system to three levels – Carbon, Carbon Plus and Carbon Elite – offering rakeback equivalents of 10%, 15% and 35% respectively, with the top level being awarded by invitation only. The maximum points could be cashed in for became $750 at Carbon Plus level, more than at Elite which had a limit of $250. Nov 1, 2013 – Maximum monthly rakeback at Carbon Elite was raised to $875, with more players receiving invites. The criteria for invitation to Carbon Elite remain unknown. See above for the latest up-to-date VIP system and rake tables. July 15, 2014 – Tournament Ticket VIP conversion removed; VIP Points replaced with Player Points with no value, and will be used as a scorecard in rewarding promotions and tracking reload bonuses. 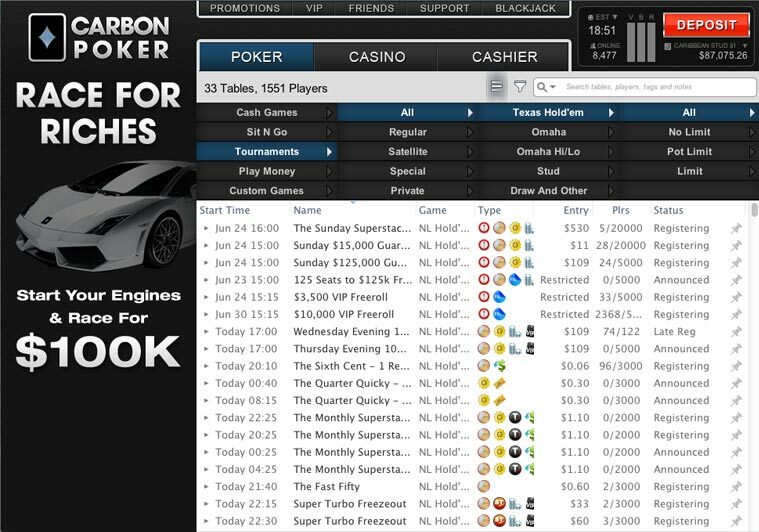 See the full Carbon Poker review for more information on software, traffic, and payouts. Alternatively, see what Carbon players are saying on the forums. Play poker in the US at Carbon Poker. Carbon Poker is giving awaying $5,000 in their Shark Week 2014 this August! From Sunday 10th August to Friday 15th August, $500 daily freeroll will be running at Carbon Poker.